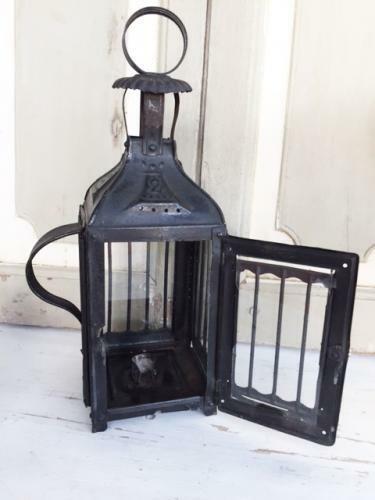 Antique Tin candle lantern in superb condition. Tray for candle sconce removes and clips in place. All bars complete on windows. and original loop handle with fluted heat guard. These lanterns came in size 0, 1, 2 and 3 as far as I have seen over the years. This one is size 2.